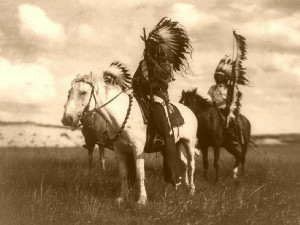 From the earliest European visitors to the period of Westward Expansion, white settlers encountered American Indians. Though many of these meetings were peaceful, the cultures more often clashed, resulting in hundreds of battles and skirmishes, between the Indians and pioneers encroaching upon their lands, as well as conflicts between the tribes and the U.S. Army. 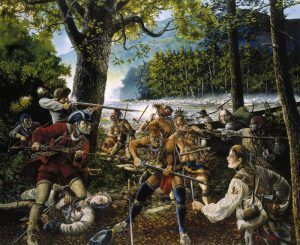 Though confrontations with the Indians virtually occurred since the first European explorers and settlers set foot on American soil, the “Indian War period” is primarily referred to as occurring between 1866 and 1890. These many conflicts are often overshadowed by other periods of U.S. history. A number of the places at which these battles occurred have been designated as National Historic Sites and state parks. Others are simply designated with a historical marker. To bring the redskin down. Where valor hung its shield. A saga of the strong.